We've featured Ghost Signs in the past, but this has to be one of the best preserved we've ever seen. While driving up Lincoln towards Evanston the other day, we came across this amazing ad just south of Carmen. The condo building next to it was just built in the last few years, as the Google street view shows it still under construction. So this ad was probably covered for about 70-80 years by another building, which is why it's so vibrant. As it's on the south side of the building, hopefully the elements won't ruin it too fast. 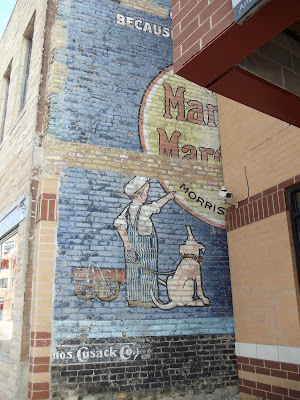 Ghost sign is a term for old hand-painted advertising signage that has been preserved on a building for an extended period of time, whether by actively keeping it or choosing not to destroy it. They are found across the world with America, the United Kingdom, France and Canada having many surviving examples. Ghost signs are also called fading ads and brickads. 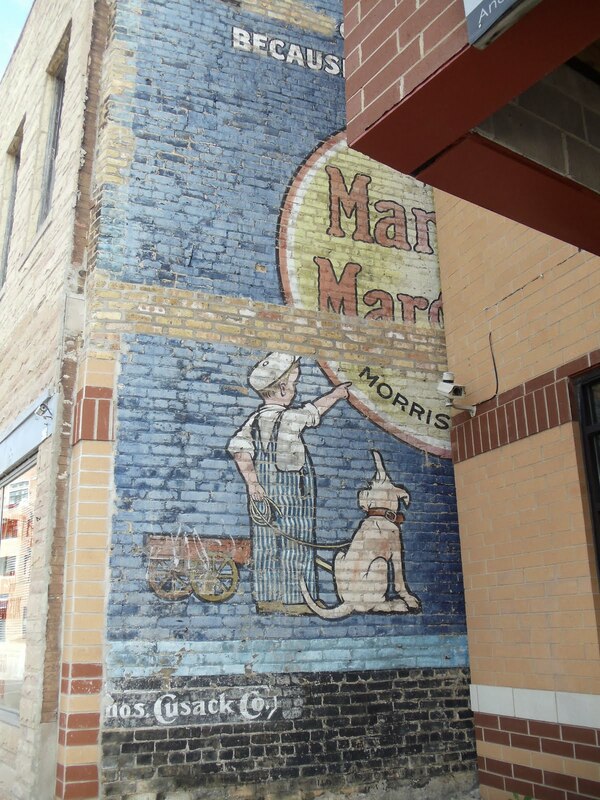 In many cases these are advertisements painted on brick that remained over time. Many ghost signs still visible are from the 1890s to 1960s. Such signs were most commonly used in the decades before the Great Depression. As signage advertising formats changed, less durable signs appeared in the later 20th century, and ghost signs from that era are less common. In a New York Times article on ghost signs, Kathleen Hulser of the New York Historical Society, said, "[The signs] evoke the exuberant period of American capitalism. Consumer cultures were really getting going and there weren't many rules yet, no landmarks preservation commission or organized community saying: 'Isn't this awful? There's a picture of a man chewing tobacco on the corner of my street.'"